Size: Available in a kit below. Noise absorbing acoustic DIY Car and Vehicle Soundproofing Kit to reduce engine and road noise within cars and small vans. Includes non-flammable soundproofing foam for bonnet and sound barrier mat for the bulkhead and floor of the vehicle through to the boot area. Effective reduction of airborne noise for cars and vans. 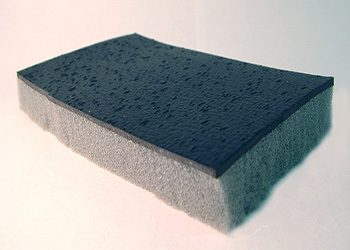 This Car Soundproofing Kit is ideal for DIY and controlling noise within a vehicle by blocking and absorbing noise coming through the bulkhead and floor of the vehicle. The kit comprises non-flammable sound absorption for the bonnet that can easily be trimmed to size and fire resistant sound barrier mat for installation onto the bulkhead between the engine and saloon and the floor of the vehicle throughout. All of the materials used in this soundproofing kit are either non-flammable or fire resistant to UK motor vehicle standards. If noise within a van is a problem we can also supply sound absorbing materials for lining the walls and roof of the main van body to cut down the noise levels created by rattles and reverberation. Contact us for more information.